About International White Cane Day: In I964, the world countries have recognized October I5th as white cane day, aiming at the societal awareness on white cane, which is used by visually challenged. 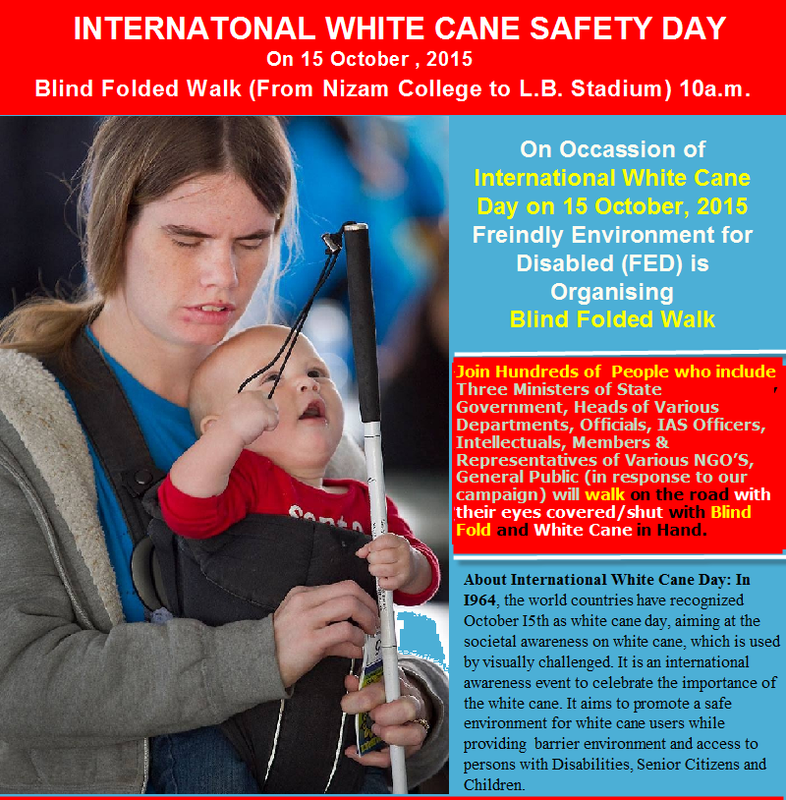 It is an international awareness event to celebrate the importance of the white cane. It aims to promote a safe environment for white cane users while providing barrier environment and access to persons with Disabilities, Senior Citizens and Children. JOIN HUNDREDS OF PEOPLE who include Three Ministers of State Government, Heads of Various Departments, Officials, IAS Officers, Intellectuals, Members & Representatives of Various NGO’S, General Public (in response to our campaign) will WALK on the road with their EYES covered/SHUT with Blind Fold and WHITE CANE in Hand. Thanks, I really loved your article and would love to hear more about your articles. !